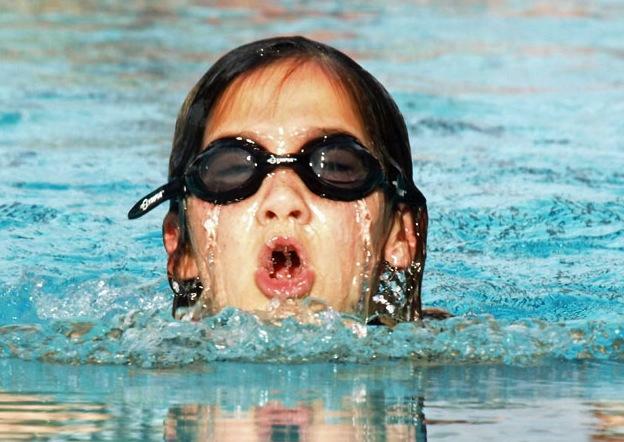 Learning how to swim at a young age could help children reach developmental milestones earlier than their peers, a new study suggests. Researchers from the Griffith Institute for Educational Research surveyed parents of 7,000 children under five years old living in Australia, New Zealand and the U.S. over three years, and subjected another 180 children between the ages of 3 and 5 to intensive testing. Lead researcher Professor Robyn Jorgensen found that young children who learn how to swim in their early years achieve a wide range of skills earlier than the normal population. "Many of these skills are those that help young children into the transition into formal learning contexts such as pre-school or school, "Jorgensen said in a statement. "The research also found significant differences between the swimming cohort and non-swimmers regardless of socio-economic background," she added. "While the two higher socio-economic groups performed better than the lower two in testing, the four SES groups all performed better than the normal population." Not only did children who knew how to swim achieve physical milestones earlier, they also scored significantly better in visual-motor skills such as cutting paper, coloring in and drawing lines and shapes, and in many mathematically-related tasks. Furthermore, researchers said that children who swan were better at expressing themselves and had greater literacy and numeracy. "Many of these skills are highly valuable in other learning environments and will be of considerable benefit for young children as they transition into pre-schools and school," Jorgensen said. Researchers noted that there were no gender difference between the research cohort and the normal population.